God, I love this movie. As someone who's not a huge fan of 28 Days Later (the second half is uber "meh") I didn't have high expectations for this film back when I first saw it. But it's one of those movies that no matter how long ago I last saw it, I know I still love it because it's so in line with my tastes. The build-up music coupled with some truly gorgeous cinematography and a story that moves a mile a minute make it hard to dislike. It's hard to not love just how far this film is willing to take matters. Nearly everyone dies, and I wouldn't have it any other way because it shows just how much we were able to get invested in them. Renner, in particular, really stands out as showing so much of his thought process without having to say a word. As a marksman put into an extraordinary circumstance, it really goes a long way to not make him seem like a jerk, which he very well could have. I hadn't even realized just how big the cast had gotten in recent years. Rose Byrne, Idris Elba, Jeremy Renner, Imogen Poots. This movie wouldn't even be made nowadays because it'd be too expensive with a cast like that. And as anyone that watches horror movies knows, horror movies do not have big budgets. 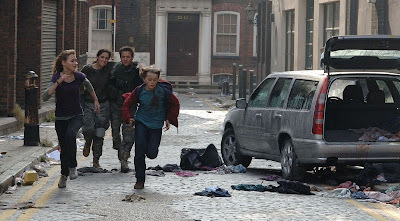 The series has been in the news lately because Danny Boyle has said that he'd like to potentially direct 28 Months Later. While that's all well and good, I'd much rather have Juan Carlos Fernadillo, who directed Weeks. Boyle can stick to making biographical dramas.